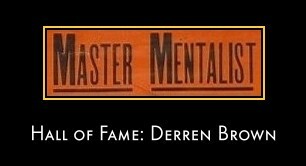 The inaugural inductee into the mentalist hall of fame, Derren Brown has been entertaining and amazing people in equal measure for over a decade now. He began to penetrate the public psyche back in 1999 when his show Mind Control first aired on UK television. 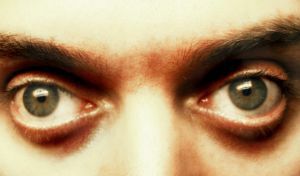 In the best spirit of mentalism, Derren Brown describes his craft as a mixture of magic, suggestion, psychology, misdirection and showmanship; a craft that he has continued to hone through the medium of television. His provocative and thought provoking television series and one off specials include; Trick of the Mind, Trick or Treat, Mind Control with Derren Brown, Russian Roulette, Séance and Messiah. My personal favourite to date was evening of wonders, a televised version of Brown's stage show which paid homage to the mentalist performers of the 1920's and 30's. In the course of Evening of wonders, he performed some quite astonishing "mind-reading" and having watched the show I set about finding out more about the techniques behind the magic, mystery and mentalism. 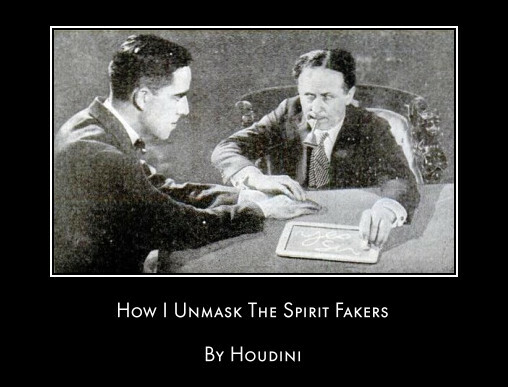 One of my best sources of information came from the work of David Abbott a magician by trade who at the turn of the 20th century was regarded as one of the best documenters of the methods used by fraudulent psychics. I put together an e-book that you can download for free which is an explanatory account by Abbott on mind reading in public. To the best of my knowledge this work is in the public domain so please feel free to pass it on to anybody who you think might be interested. Click Here To read/download Mindreading in Public by David Phelps Abbott. At the time of writing Derren Brown's leatest TV mindfest "The Events" has just launched, and as with all his previous shows, it's causing quite a stir. In the first event he "predicted" the outcome of the Britain's National Lottery. For more information on the lottery prediction and the remaining events, Click Here to visit the show's official website. "I spend time with someone making paranormal claims, observing their world, looking at the weight of evidence for and against. There are three documentaries: one with a British psychic medium, another with a ghosthunter from the US, and a third concerns a Russian system of human development that claims to ‘cure’ blindness...I have approached these documentaries quite openly: as a magician, and someone steeped in the world of the paranormal, I would love to find something that I can’t explain." It's a series the great Houdini would have loved. Check out the following extract from an article Houdini wrote in 1925. "Telling me that a supposed genuine medium is in the same town with me is like informing an enthusiastic fisherman that he's near a trout stream. 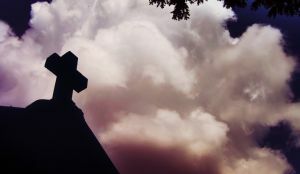 For 35 years - during my whole career as a professional magician - I have been studying and investigating so-called, psychic phenomena - spiritualism, occultism, clairvoyance, mysticism, telepathy and similar manifestations of apparently supernatural origin. My investigation has been literally continuous. I never have dropped it for so long as a day. The practice of my profession has taken me to virtually every country on earth, and my travels have enabled me to observe and study the psychics of many lands. And my interest in the subject is more keen, if anything, today than it was when it first engaged my attention. This probably is because my interest in psychic phenomena is personal rather than professional. I have pursued my investigations because I have found them a fascinating kind of scientific research, not merely because seeking to explain the mysteries produced by others may seem to bear some relation to the work of one who is himself a professional mystifier." If you would like to read this fascinating article in full, you can do so via the following link. Derren Brown's television and stage performances have entranced and dumbfounded millions. His baffling illusions and stunning set pieces - such as "The Seance", "Russian Roulette" and "The Heist" - have set new standards of what's possible, as well as causing more than their fair share of controversy. Now, for the first time, he reveals the secrets behind his craft, what makes him tick and just why he grew that beard. Tricks of the Mind takes you on a journey into the structure and pyschology of magic. Derren teaches you how to read clues in people's behaviour and spot liars. He discusses the whys and wherefores of hypnosis and shows how to do it. 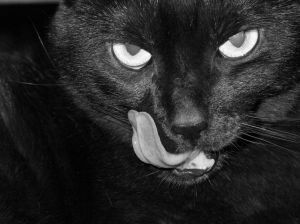 And he investigates the power of suggestion and how you can massively improve your memory. He also takes a long hard look at the paranormal industry and why some of us feel the need to believe in it in the first place. 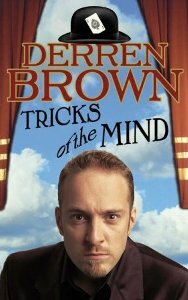 Alternately hilarious, controversial and challenging, "Tricks of the Mind" is essential reading for Derren's legions of fans, and pretty bloody irresistible even if you don't like him that much. Do you think astrologists and palm readers can tell everything about you and that your personality can be read from your birth date or hand?" Find out how gullible you are via the following link. 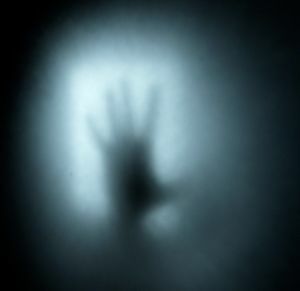 See following link to learn all about paranormal psychology.